Keywords are a powerful tool when it comes to developing a successful text message marketing campaign. By now, you're probably familiar with text message marketing, or perhaps you've heard bits and pieces about it. This unique marketing method is quite popular these days. It's inexpensive and effective - two solid reasons to jump on the text message marketing bandwagon. People are constantly connected to their mobile devices; you may as well capitalize on this fact and put your brand in front of them via text. But like any other form of marketing, some text message campaigns are more successful than others. When creating a campaign, it's important to remember the fast-paced nature of this mode of communication. People are constantly on the go. They aren't interested in reading long-winded text message advertisements which aren't relevant to them. Instead, for them to absorb the information presented, messages have to be interesting and easily digestible. Therein lies the magic of mobile keywords in text message marketing. By incorporating keywords in your text message marketing campaign, you can gather mobile numbers quickly and easily so your audience can be delivered bite-sized, relevant, and digestible pieces of information. What Exactly Are 'Keywords' in the World of Text Marketing? Keywords are at the heart of text message marketing. A keyword is a unique word that people use to communicate with you via short code. Certain keywords are associated with specific short codes. In simpler terms, the same keyword can actually be used across a number of short codes. When paired with a short code, a keyword (typically a 5- or 6-digit set of numbers/letters) allows mobile phone users to text a message to the short code. Basically, the keyword is what identifies your product/service/business. By pairing a keyword to a short code, your customers can easily and quickly communicate with your business, all at a very minimal cost to you. How Do Mobile Keywords Work? When people send your keyword through an SMS text message to a short code, they can get more info about a specific type of product or service which interests them, and be added to your contact list via subscription. After they've fired off their texts, users will receive an automated response message, and their phone numbers will be added to your distribution list. Keywords and short codes make it easy and fast to identify your brand. This info can be used for any future marketing campaigns your business creates, and can be modified at any time. Why Should Business Owners Use Mobile Keywords? Making good use of keywords and short codes in your text message marketing campaigns can improve your reach and increase customer engagement. You can slip your short codes and keywords into advertisements, brochures, pamphlets, or emails, depending on what marketing channels your business is using to connect with customers. In a snap, you can connect with your audience via mobile, regardless of where they happen to be. Follow-up text messages can be sent within a certain amount of time after someone signs up, which will help you stay connected to your audience to keep your business top of mind. As soon as someone joins your subscriber list, you can be alerted via email or text so you can keep tabs on how well your marketing campaigns are working in real time. Keywords are unique to your business. That way, when a user texts this specific number/word, it will connect them directly to you, and they will be automatically added to your contact list in order to receive relevant offers via your company's mobile program. Let's use the soft drink giant Pepsi as an example. The company tells their audience to text the keyword "PEPSIMAX" to 710710 (the brand's unique short code). Once users do this, they have access to text message offers and incentives from the brand, AND they're automatically added to the company's list of contacts. Pretty neat, huh? Neat, and effective. If Pepsi is doing it, why shouldn't you? For nearly a decade, Club Texting has been an industry leader in text message marketing. We've helped countless clients come up with effective and affordable text message marketing campaigns. We make smart use of mobile keywords and use these powerful little characters to lay the groundwork for a successful marketing campaign. You've got nothing to lose and everything to gain. Try Club Texting for free today! SMS message marketing can help businesses easily connect with target audiences and boost sales. More than 90 percent of adults in the U.S. keep their smartphones within arm's reach. Over 95 percent of text messages are read within a few minutes of receipt. About 90 percent of mobile searches lead consumers to take action. Have these figures caught your attention? In case you aren't already familiar with SMS message marketing, this method of communicating with customers is taking the marketing world by storm. It's effective, affordable, and it's easy to create a campaign. More and more businesses are using this mobile marketing method to reach customers and drive sales. Whether your business sells shoes, electronics, or sandwiches, here are five ways approaches to text message marketing that can help boost your sales. Nothing creates a stronger sense of urgency than advertising something that will disappear soon. When the clock is ticking, customers will feel compelled to jump on an offer before it's too late. People just can't help themselves when it comes to highly attractive deals with a tight time frame for redemption. Offering a limited time deal to your customers will pique their interest and entice them to redeem your offer. For example, "50% Off for 48 Hours Only" will nudge your customers to take action if you've indicated that the offer is only available within a short window of time. If your business usually runs special promotions during certain seasons or months, text message marketing can work well for you. For instance, if you're a clothing retailer, you might want to consider running exclusive promotions on certain summer items, and using text messages to inform your customers about these seasonal specials. If you've already established a list of mobile subscribers, you can create an SMS message marketing campaign to let your customers know about the special summer deals that will fade away as quickly as the season itself. Sharing information through text messages allows you to notify your customers directly about your promotion, as opposed to print ads or TV commercials. Delivering your marketing messages via text helps ensure your audience is actually reading what you have to say. It goes without saying that everyone wants to feel valued, including your customers. Turn the tables and think about your experiences as a customer, and how businesses made you feel in the past. The most positive and memorable experiences are probably the ones where the businesses made you feel valued. So why not do the same for your customers? With SMS message marketing, you can make your customers feel important and attract their attention by using an element of exclusivity. Texting your customers about promotions and exclusive products can significantly increase open rates. For example, you can send your best customers VIP offers and exclusive discounts to make them feel as though they are part of a special group that has access to something unique which is not available to the public. Make them feel special, and it may help to boost your conversion rates. Create a compelling offer for your customers that they simply cannot turn down. Do something for them that will convince them to buy from you. Whatever you're offering needs to be something that your customers will perceive as something of value; something which they simply cannot pass up. Without a compelling call to action, your customers aren't exactly going to jump out of their seats to redeem your offer. Why not integrate your mobile marketing efforts with other marketing channels you've already got in place? An integrated approach can help you attract a bigger audience, which can seriously boost sales. For example, if you've already got an email marketing strategy in place, consider using this channel to inform your customers about your new mobile program. You can create buzz around your mobile communications program via your business website, social media profiles, and print ad campaigns. Mobile can be used to send short, time-sensitive text messages about everything from appointment reminders to last-minute sales. Adopting a cross-channel promotion strategy can help you increase the effectiveness of your mobile marketing efforts. We've explained to you what SMS message marketing can do to drive sales for your business, so why delay? At Club Texting, we can help you launch your first text message marketing campaign quickly, and at a low cost to your business. To get a feel for how helpful SMS marketing can be for your business, try Club Texting free today! Lisa Simonelli Rennie is a freelance web content creator who enjoys writing on all sorts of topics, including online marketing, social media advertising, personal finance, and anything to do with the internet industry. SMS text messaging can help your business build customer loyalty. If you aren't already using text messages to connect with your customers, you need to start right now! Developing a loyal customer base is a huge priority for companies. After all, it's these customers who keep bringing in the business. Sure, there are many ways to go about building customer loyalty, but none are quite as affordable and effective as text message marketing. Here's a look at why this approach to marketing is so effective for building customer loyalty, and why you need to tap into it sooner rather than later. With so many people having their own mobile devices and checking them countless times each day, it just makes sense for businesses to use this platform to reach out to new and existing customers. Here's an interesting fact: 95 out of 100 of your customers who have opted in to receive messages from your business will actually open and read them within 3 short minutes. What business owner wouldn't want to capitalize on that hearty number? Think about how you react to a text message. You probably read it soon after it comes through, right? With text message marketing, not only will you reap the benefits of having constant contact with your customers, you can also offer promotions and exclusive products that they can take advantage of right away. People opt in to receive text message communications from your business because they are interested in what you have to say. When your mobile subscribers hear from you regularly, they'll be more likely to take action on whatever it is you're asking them to do. Whether you're sending them a promotion, coupon, or access to an exclusive product, your message will encourage them to engage with your business and redeem your offer. The average response time after receipt of a text message is approximately 90 seconds. By comparison, it takes 90 minutes on average for someone to respond to an email. The boost in conversions that are associated with text marketing as compared with other forms of communication is well worth the effort, and a good reason to get started with your first campaign. Everyone familiar with marketing knows the importance of segmenting audiences in order to create more personalized, relevant ads. With a text message marketing campaign, you can effectively reach out to different customer segments, whether they're first-time shoppers, loyal VIPs, or customers who haven't visited your store in a while. Text message marketing has helped companies realize exponential growth in business. Over time, you can use past purchasing data and track the results of previous marketing campaigns to decide which group of people will be more receptive to certain deals and promotions you're offering. If the offer is enticing enough for your customers to bite - such as 30 percent off a product or a free item with purchase - you will realistically see a huge response to your text message marketing efforts. Accurately segmenting your list of permission-based mobile subscribers is an important step towards improving the relevancy of your text message ads. Using customer data to inform your campaigns helps improve relevancy and drive sales over time. You can decide when and how often to text your customers based on several factors, depending on the type of business you operate and the specific promotion. For example, if you own a restaurant that's known for its dinner specials, you could send out a text in the middle of the afternoon when people are thinking about their dinner plans. This ensures that the text message is appropriate and effective. One of the biggest benefits of text message marketing is that your offers sent via text are actually being read by your customers on the spot. This can effectively send customers to your store to redeem your offers a lot more quickly, as compared with other marketing platforms. At Club Texting, we can work with your business to develop the ideal text message marketing campaign with our affordable, easy-to-use services that can help you reach hordes of customers, both new and existing. Whether you're a realtor, club owner, retailer or event promoter, our text messaging service is the perfect communications solution for your business advertising needs. If you are interested in promoting an upcoming contest, enticing customers with special offers, or conducting polls, Club Texting can help you accomplish your communication goals. So what are you waiting for? Give Club Texting a try for free today! 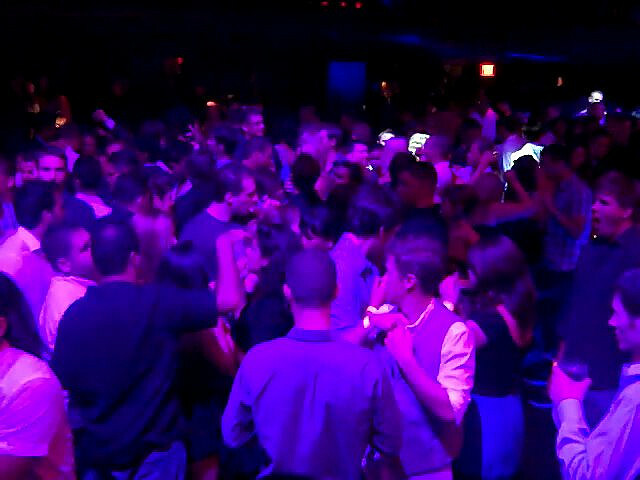 SMS messages can help you attract more guests for special events at your nightclub. The dance floor is packed, the DJ is spinning a compilation of music that has the crowd feeling energized and excited, everybody is having a great time, and the drinks are flowing. It's every nightclub owners' idea of a perfect evening. If you are searching for ways to get the party started at your club, there are a number of approaches you can take. As mobile has become more popular, forward-thinking club owners have been using SMS messaging to reach more patrons. Here are some of the ways you can use SMS messaging to increase foot traffic to your nightclub for special events. One of the biggest challenges for business owners who are exploring how to use mobile marketing to connect with customers is creating a mobile subscriber list. Building a large list typically takes some time, but there are a few things you can do make the process easier. Consider launching a cross-channel marketing effort. Create a long code campaign with a mobile communications provider, and place compelling calls to action encouraging people to text to subscribe to your mobile list on your print and online promotions. Employing a cross-channel strategy is a good way to increase sign-ups for your SMS messaging campaigns. It goes without saying that every person loves feeling valued and special. The same goes for your customers. If you want to get their attention with SMS messaging, offering them something appealing is a good way to do it. Consider creating a VIP offer campaign to pique your mobile subscribers' interest. There are several ways you could structure your campaign, from sharing a VIP coupon for a free drink, offering exclusive reserved seating, or waiving the cover charge for the first hundred customers who reply to your message. Create an offer that your potential patrons simply won't be able to refuse! If you decide to use SMS messaging for your event promotions, informing your mobile subscribers about upcoming events a couple weeks prior is a good rule of thumb. This gives them plenty of lead time and allows them to connect with friends and make plans to attend. But don't just send them one SMS message and leave it at that. Consider reminding your mobile subscribers about your event as the day draws closer. This will help keep it fresh in their minds so they don't forget that it's happening. A little reminder goes a long way when it comes to boosting event attendance. 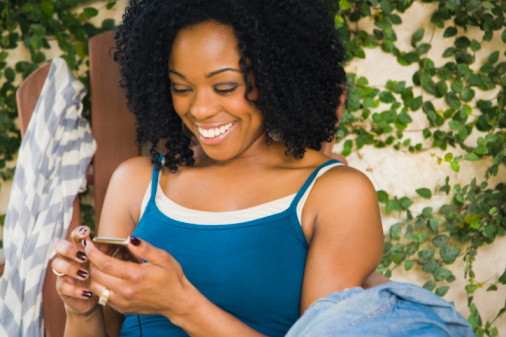 Remind your mobile subscribers about upcoming events with well-timed SMS messages. If you are interested in giving your marketing efforts a boost to attract more customers to your nightclub, SMS messaging is a great way to do it. Club owners can use cross-channel marketing strategies to build their mobile subscriber lists, and then create SMS messaging campaigns which help build momentum in the weeks and days leading up to events. 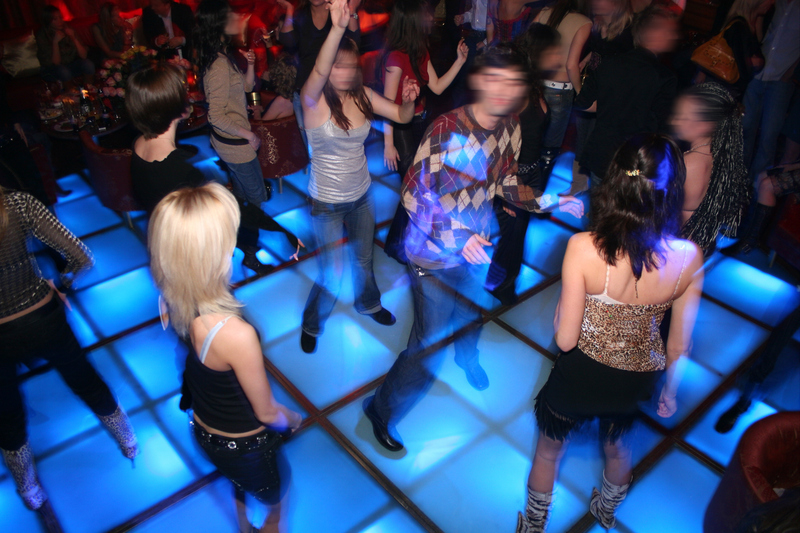 Are you ready to get started with text message marketing for your nightclub? Try Club Texting for free today! Mobile can help you simplify the process of planning an expo or convention. Imagine for a moment how challenging it is to plan a large convention. You have hundreds of attendees all under one roof, with countless speakers, simultaneous events, and you are charged with keeping everything organized and sticking to a strict schedule. Convention planning can be a high stress job, and the best planners are always searching for ways to make life easier for their team. If you regularly plan large events, there are several ways that text messaging can help you keep things running smoothly. Here are four ways convention planners can use text messages to simplify their lives. There are often multiple events happening at once during a large convention. Moving people from Point A to Point B in order to stay on schedule can be challenging. Event planners can use bulk text messaging to communicate with conference attendees about the day's agenda, reminding them of start times for sessions they've signed up to attend. This can help reduce the instances of people arriving late or missing out on sessions altogether. If you regularly attend conventions, you can attest to the fact that they are often held in giant buildings. To give you an idea of how large these venues can be, the Boston-based Hynes Convention Center spans over 176,000 square feet. One of the biggest challenges for convention planners is staying in touch with their staff during their event. Team members are often spread out across large buildings, and convention planners can use text messaging to keep the lines of communication open with staff. Question and answer sessions at large events are often fast-moving, and it's important to stay organized to keep these discussions running smoothly. As mobile technology has advanced, many convention planners have begun using text messaging to collect questions from the audience during Q&A sessions. Not only does this help encourage audience participation, it also helps you organize your sessions more effectively. It's an approach worth considering if you are looking for more effective ways to manage your question and answer discussions. Every convention planner wants feedback on their event. Input from attendees is helpful because it provides planners with valuable insights into what worked well for participants and what they can improve upon at their next event. Instead of gathering feedback solely via paper surveys, some event planners are using mobile to collect participant input as well. Text message polls can be set up quickly and sent to convention attendees. The process is simple and in many cases, feedback comes through almost immediately. 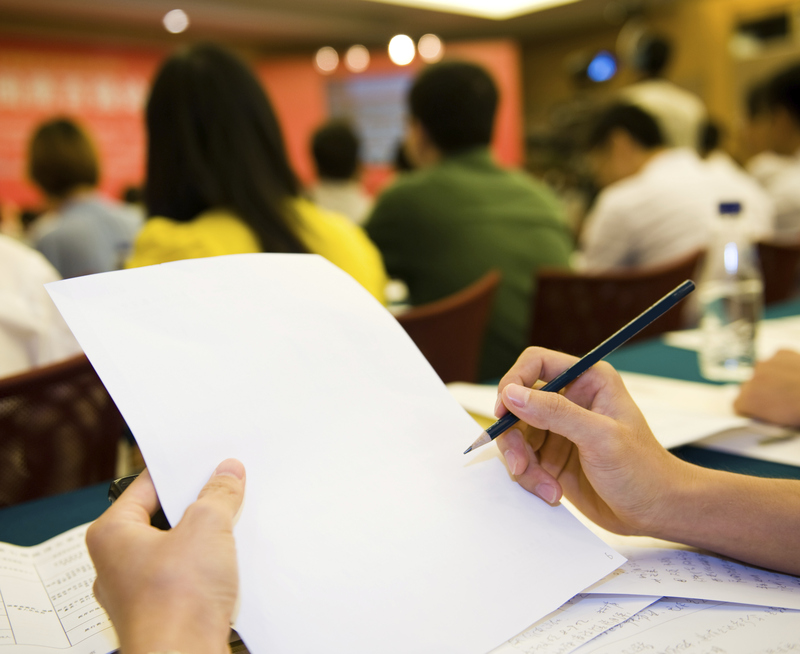 Text message polls can be used in addition to paper surveys to gather feedback from attendees. 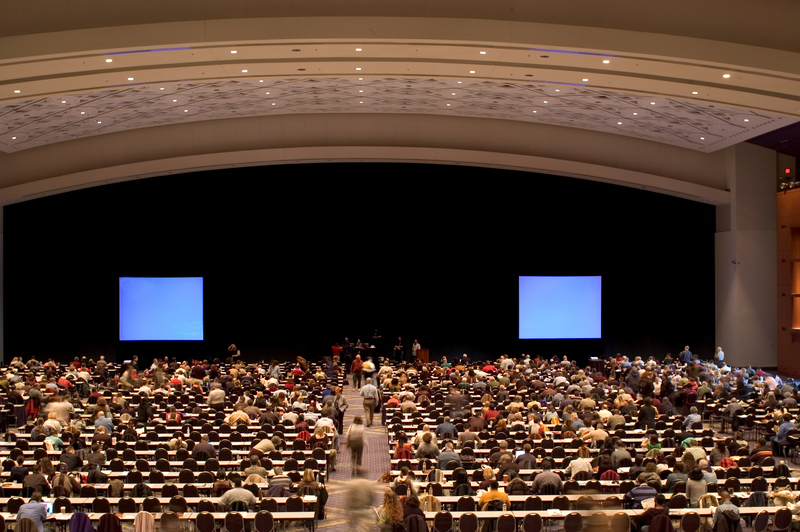 Mobile technology can make your life as a convention planner much easier. Text messaging can help you keep things on schedule, improve communication among your team members, increase participation in panel discussions and Q&A sessions, or collect valuable feedback from your attendees. Are you interested in working with a mobile communications provider to help your events run more smoothly? Try Club Texting for free today. Coffee and text message marketing are two things Starbucks does very well. Are you a restaurant owner interested in creating more effective text message marketing campaigns? Look no further than your nearest Starbucks. 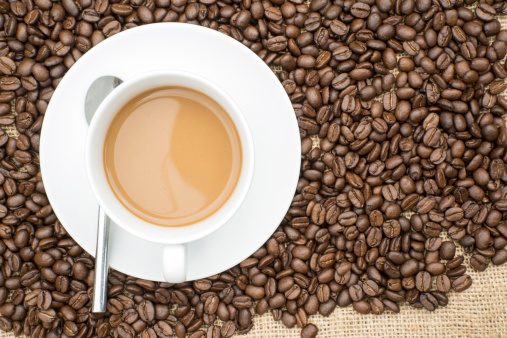 The coffee giant is known for creating engaging, unique campaigns which never fail to grab the attention of customers. Here are some of the ways the Starbucks team has achieved success with text message marketing, and here are some key lessons other business owners can learn from their example. Sometimes a successful text message marketing campaign isn't about sharing coupons with your audience; it's about engagement. Last summer, Starbucks launched a unique content campaign which used humor and timely texts to promote their popular Frappuccino beverage. The "Frappuccino Fun All Summer Long" campaign featured short messages coupled with hilarious photos, which were sent to customers throughout the summer. Mobile subscribers who opted-in to Frappuccino Fun were treated to a handful of amusing texts monthly. The marketing team at Starbucks relied on engaging content to keep their brand in the forefront of their customers' minds. Everyone loves participating in a good contest, especially if the prize is something appealing. In the past, Starbucks has launched a number of text message marketing campaigns related to contests. One good example of a successful contest was their recent promotion which offered a limited number of prizes to lucky mobile subscribers who answered a trivia question correctly. The first hundred people who shared the correct answer received a copy of a popular movie soundtrack, for instance. Starbucks has also launched contests where participants submitted entries via text message for the chance to win free coffee. Contests like these are beneficial for a couple of reasons. They are a great way to generate buzz about your business and broaden your reach. Contests with prizes that can be redeemed in-store may also help increase foot traffic. In addition to content-based campaigns and text-to-win contests, Starbucks also distributes promotional offers to their mobile subscribers via text message. A simple text message marketing promotional campaign is easy to create and one of the most effective ways to drive sales. Whether you are offering your mobile subscribers a free cup of coffee or a discount on their next meal purchase, it's likely that many of your customers will be excited to take advantage of your special promotion. After all, it is difficult to resist a good deal - especially when the offer comes from a business that you patronize frequently. Starbucks focuses on creating engaging, useful text message content for mobile subscribers. If you are interested in taking your text message marketing efforts up a notch, consider following Starbucks' example. In the past, the popular chain has created engaging content campaigns to connect with customers, offered text-to-win contests, and used texts to deliver special coupons and promotions to their mobile subscribers. By keeping things light and fun and offering something of value to their audience, Starbucks has achieved mobile marketing success. If you are interested in writing your own text message marketing success story, try Club Texting for free today. More readers are turning to the Internet for their daily dose of news and information. The Internet and mobile technology have changed the publishing industry considerably. With more people using their mobile devices and home computers to find the information they need, many publishers have taken their content online. Most major newspapers and magazines have also adjusted their marketing efforts in order to engage with the digital consumer. This often means focusing more on channels like social media and mobile and putting less emphasis on traditional print advertising campaigns. 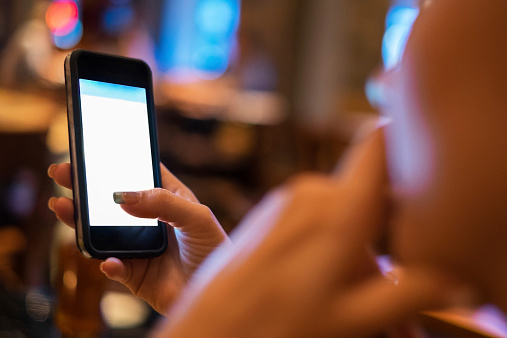 Following are three ways that publishers can use mobile and text marketing to connect with readers. Are you interested in driving more traffic to your publication's website? Why not share relevant content with your readers via text message. As you grow your mobile subscriber list, consider having your readers opt-in to receive messages about certain topics that interest them. This helps ensure that you're delivering highly relevant content that's targeted towards specific mobile subscribers. This approach to text marketing is beneficial for businesses as well as customers. The business reaps the benefit of having more people clicking through on links to their articles, videos, and photos, and the customer gets an alert each time something that's of interest to them is published. Sharing content via text marketing is a win-win for publishers and readers alike. Text message promotions can also help you increase subscriptions to your newspaper or magazine. 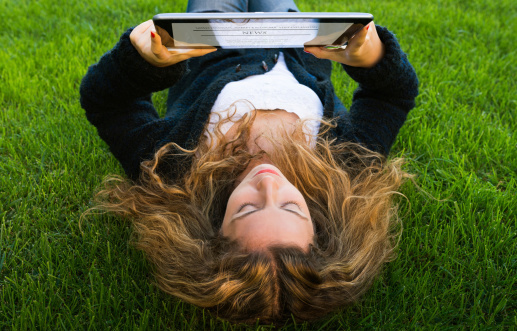 Consider offering periodic promotions to your mobile subscribers, like a percentage-off discount on your print publication or a free month of unlimited reading on your website in exchange for purchasing a subscription online. Not only will these special promotions help keep your publication on your customers' radar, they may also help to boost your subscriber base and generate more revenue for your company. 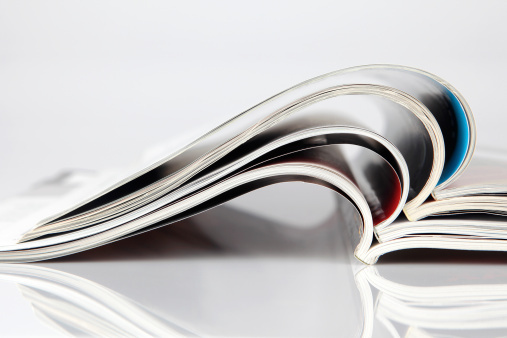 Does your magazine or newspaper offer any special sweepstakes or contests for your readers? Maybe you occasionally give away free subscriptions or you host an annual contest each summer where one lucky reader wins a dream vacation. If you're already using contests to generate reader interest, texting can be a great way to keep your entries organized. You may also get more engagement if you choose to use a text-to-win model, as sending a text message is such a simple process for recipients. If your business doesn't typically administer contests, it may be something to think about if you're interested in grabbing the attention of your audience. A contest or sweepstakes can help boost your website traffic and raise awareness about your publication. Publishing companies are using mobile marketing to reach more readers. The publishing industry is continuing to change with the times. More key players have begun to explore how they can benefit from using mobile and digital channels to connect with their audience. Text messaging is an important part of this. SMS messages can be used for content sharing, and also for alerting mobile users about special promotions and contests. If you are interested in exploring how your newspaper or magazine can benefit from adding text messaging to your marketing portfolio, try Club Texting for free today! Building your mobile subscriber list can help you create more effective text message marketing campaigns. One of the most common questions that business owners have is how to effectively grow their mobile subscriber list. Whether you are just beginning to explore text message marketing for your business or you simply want to expand your audience, there are a number of easy things you can do to give your mobile subscriber list a boost. Keep in mind that it may take some time to develop a large list, but it will be well worth it because your text message marketing campaigns will be seen by more customers. 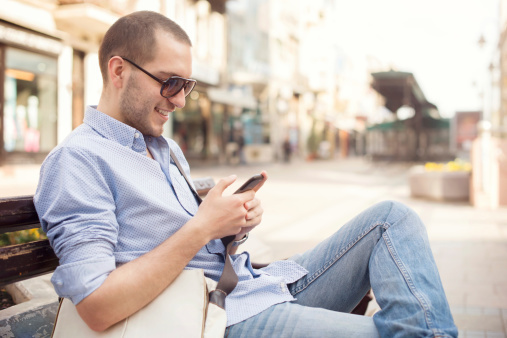 Here are four helpful tips for attracting new mobile subscribers. Does your business send out direct mailings regularly to connect with new customers? Or perhaps you have print advertisements in your store. Consider leveraging your existing print marketing efforts to get the word out about your mobile subscriber list. Adding a long code to print advertisements is an easy way to make your audience aware that they can connect with your business via mobile. Did you know that you can actually add a mobile call to action to your business website? Many businesses create HTML forms where mobile users can enter their phone numbers in order to receive text messages. You can even take this one step further and provide a list of interests for potential subscribers to check off when they enter their mobile number. For example, if you're a pub owner, you may want to include options to receive text message alerts about special menus, exclusive deals, musical performance schedules, or VIP events. This extra step can help you create more targeted text message marketing campaigns. Adding a mobile call to action to your website is an inexpensive and easy way to grow your business' mobile database. If your business has an existing email list and you distribute newsletters to customers regularly, you can also add your mobile call to action there to boost your subscriptions. Again, making a simple change to your existing email newsletter is an inexpensive and quick way to grow your mobile database. 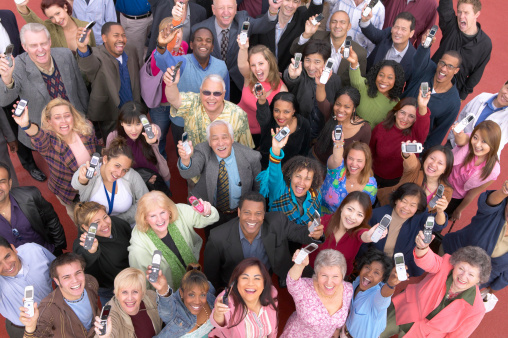 Do you already have a small list of loyal mobile subscribers? If so, you may want to consider creating a 'refer a friend' campaign to get the word out about your business. Use text message marketing to reach your existing customers, and offer them an incentive in exchange for new referrals. For example, those who refer five friends can receive 10 percent off their next meal purchase. This is a sure fire way to grow your mobile subscriber list quickly. Let customers know about your mobile list through various channels to increase participation. Are you a business owner that's interested in growing your mobile subscriber list? If so, there are a number of easy ways to get started. Consider leveraging print marketing, adding your mobile call to action to your website, spreading the word about your mobile list to your email subscribers, and creating a campaign that allows your customers to refer a friend and receive special offers. Are you ready to launch your first text message marketing campaign? Try Club Texting for free today! Use bulk texting to get more patrons through the door on game days. The MLB regular season has begun, and restaurant and bar owners are stepping up their marketing efforts to reach more patrons on game days. If your business is running some special promotions in honor of baseball season, there are a number of ways to spread the word to potential customers. Bulk texting is one tried and true marketing approach to consider. Here are three ways that your business can use mobile marketing to get your audience's attention on game days. If you want to attract more customers for baseball season, consider running a special promotion for your existing mobile subscribers. 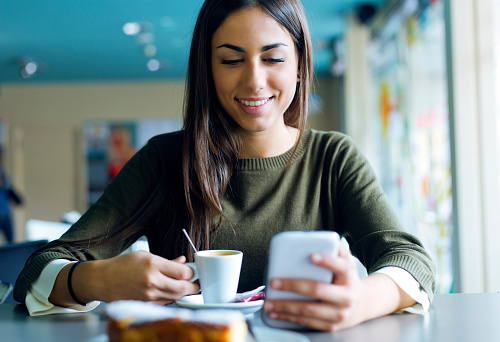 Offering loyal customers an exclusive deal, such as a discount on meals or a free beverage or appetizer, will make them feel valued and excited about connecting with your business via text message. Whether you are interested in running a promotion related to the first home game of the season or you are hoping to get more patrons through the door to watch a storied baseball rivalry, bulk texting can help you accomplish your goals. Are you interested in growing your mobile subscriber list as we head into baseball season? 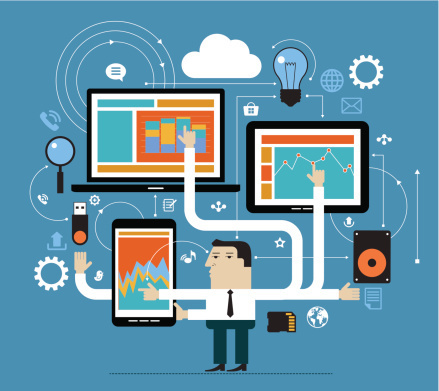 One effective way to do this is through a multichannel marketing campaign. For example, you may want to do a direct mailing to potential customers who live nearby letting them know you're offering special promotions related to baseball season. As part of your mailing, you can include a long code where customers can send text messages in order to opt-in for exclusive deals and discounts. Consider adding the same long code to printed advertising in your restaurant or pub as well. Using a multichannel marketing strategy can help give your mobile subscription list a much needed boost. Bulk texting isn't just about sending one message to your mobile audience. It's about creating an engaging dialogue over time. While your goal may be to increase foot traffic to your business for one specific game, you can also use mobile to attract more customers the next time around. Is your business offering a special menu in honor of the 2015 MLB season? Do you have any interesting baseball promotions or news to share? Instead of communicating with customers just once, use bulk texting as a tool to get the word out about happenings at your restaurant or pub for the duration of the baseball season. Just make sure to strike the right balance in terms of how many messages you're sending. You want your audience to be excited to hear from you, not annoyed by too many texts. 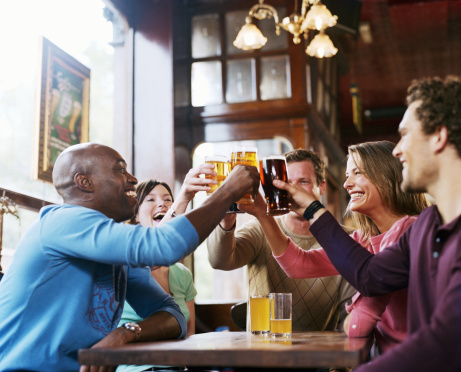 Attract more customers to your restaurant or pub using mobile marketing. Are you a restaurant or bar owner that's interested in making the most of the 2015 baseball season? Consider stepping up your mobile marketing efforts to attract the attention of a larger audience. Offering VIP deals to existing mobile subscribers, growing your subscription list with a multichannel marketing effort, and engaging with your audience over time can help you boost your business. If you are interested in getting started with a bulk texting campaign, try Club Texting for free today! Creating groups of mobile subscribers can help you build more effective text message marketing campaigns. 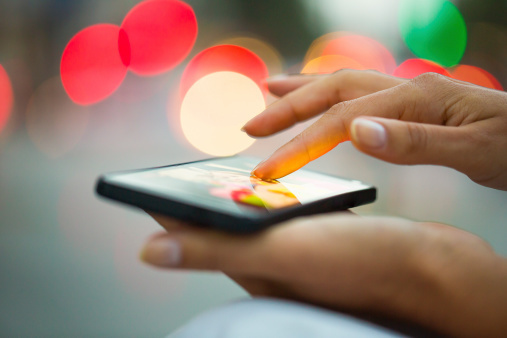 Is your mobile subscriber list growing at lightning speed? While this is a good problem to have because it means people are interested in connecting with your business, it can be difficult to create relevant text message promotions for a large, diversified list of subscribers. If you are finding that your marketing campaigns aren't as effective as they could be now that your list of mobile customers has grown, it may be time to segment your list. Here are a few strategies for segmenting your subscriber list for more successful text marketing campaigns. Do you own a retail business which sells clothing for men and women? Or perhaps your business offers a variety of products; some that are popular with Millennials and others which are a hit with the Baby Boomer generation. If your mobile subscriber list has grown considerably, it might make sense to create different groups according to basic customer demographics. Consider breaking down your list by gender, specific geographic location, or age group. Segmenting your list in these ways can help you create more targeted text message promotions that will resonate with different audiences. If you are interested in increasing the effectiveness of your text message marketing campaigns, it may be as simple as grouping your mobile subscribers according to their buying behaviors. This can be done in a couple different ways. You can choose to create a list of subscribers who purchase specific goods from your business frequently and center your promotions on those particular products. You may also want to consider looking at past purchase behaviors and coming up with a list of related products that you could market to a particular segment of your mobile subscribers. Using past purchase behavior to create groups of customers can help you improve the relevancy of your upcoming text message marketing campaigns. 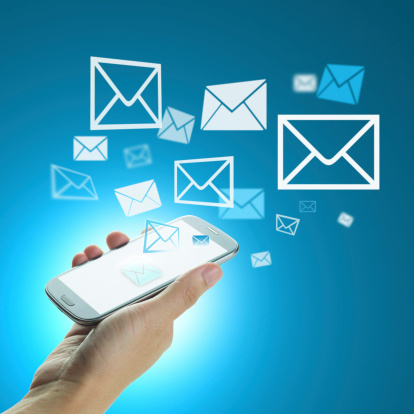 Has your business been reaching out to customers via text message marketing for a while? If so, it may make sense to take a look at your past promotions and try to identify specific patterns. Were certain customers more receptive to a particular type of promotion? For example, did a 15 percent off promotion perform better with a specific audience than a free gift with purchase campaign? Were some customers drawn to a limited time offer while others seemed to ignore it? Review your past promotions to see how your customers responded, and then create groups based on which messages resonated with specific audiences. 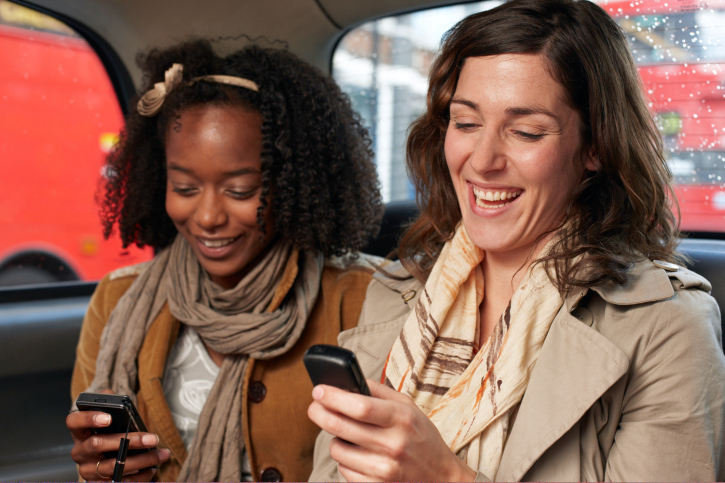 Segment mobile subscribers to create more relevant offers. Segmenting your mobile subscriber list can help you create more effective text message marketing campaigns. If you've noticed lately that your list of mobile customers has grown considerably, it may be a good idea to segment your subscribers by demographics, purchase behavior, or group them according to how they responded to past promotions. Are you interested in exploring how you can create groups to get a better return on your business' text message marketing efforts? Try Club Texting for free today! SMS messaging is an easy way to stay connected with your employees, no matter where they are in the world. Are you a nonprofit director that's looking for creative ways to raise awareness and increase donations? Effective marketing and donor engagement are two major factors behind every successful nonprofit. 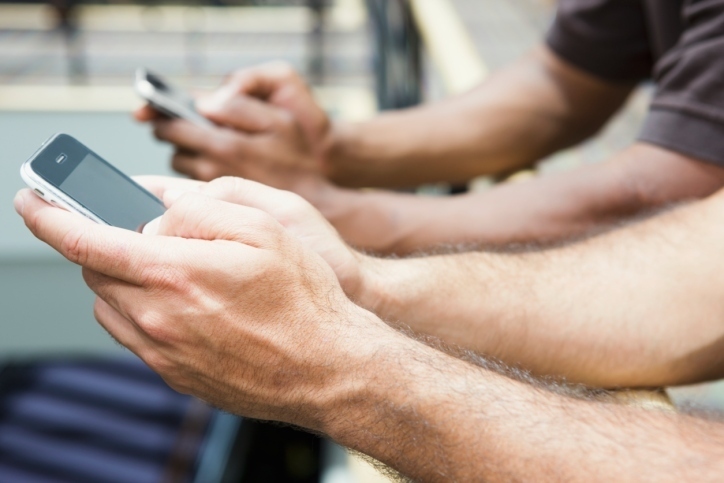 In recent years, many nonprofit leaders have been exploring how they can use mobile to stay connected with donors, team members, and volunteers. Using mobile to improve reach and communication is beneficial for nonprofits in many different ways. Here are three reasons to think about adopting a mobile strategy with SMS messaging for your nonprofit organization. Do your team members frequently travel to remote locations of the world? Sometimes Internet access can be spotty in certain geographic areas, which can make it a challenge to stay connected with your employees via email. Since cell phone usage has become so prevalent, even in remote locations, communicating via text message may be a better alternative to email. Whether you are interested in reaching one person in particular or keeping your entire team up to date on current projects, SMS messaging is an effective, reliable way to communicate with your employees. You may also be able to get the input you need from your team faster than if you used email as an exclusive means of communication. SMS messaging can also be used to share updates about your existing campaigns with your donors. For example, if your nonprofit is focused on improving education for children in sub-Saharan Africa, you can use SMS messages to share progress. Did you recently finish construction on a new school? Or maybe you've brought some new teachers aboard and completed an education program in the area. Communicating with your donors via text message is a simple way to keep them up to speed on what's happening with your current campaigns, no matter where you are in the world. Are you mapping out a fundraising campaign for a new initiative? SMS messaging is a great way to raise awareness about your cause and collect donations. You can use texts as a tool to spread the word to your mobile subscribers about an upcoming event hosted by your nonprofit, inform them about a new campaign, or set up a donation system. Many nonprofits are creating SMS donation campaigns that allow mobile subscribers to easily send a text message to make a donation. Since SMS messages can be sent to recipients for just a few cents, using mobile to increase awareness can help you accomplish your fundraising goals without breaking your marketing budget. Text messaging may be a more effective channel than email for sharing information about your nonprofit. 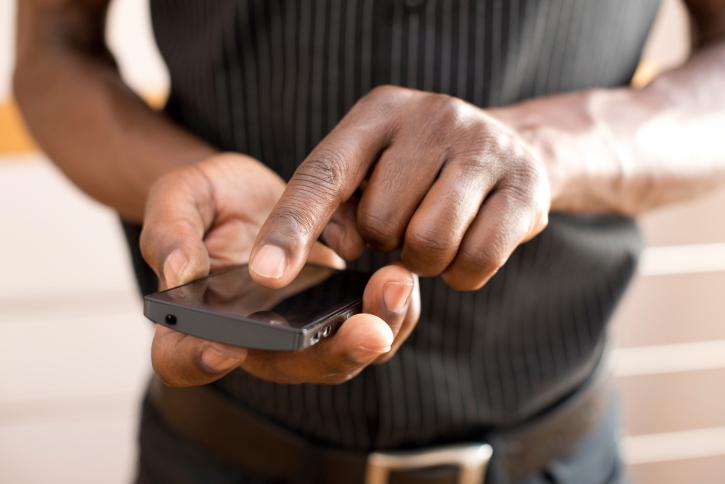 SMS messaging is a helpful tool for nonprofit organizations. Teams can use text messages to stay connected, even in the remotest parts of the world. SMS messages can also be used to share updates about existing campaigns with donors and increase engagement on brand new initiatives. It's an inexpensive way for nonprofits to improve communication and achieve their fundraising goals. If you are interested in exploring how your nonprofit organization can benefit from SMS messaging, try Club Texting for free today! Mobile users are texting more frequently. It's no secret that texting has become a popular way to communicate in recent years. As mobile phones have evolved to include built-in and touchscreen keyboards, it's become easier to send and receive text messages. One of the most common misconceptions about texting is that it's exclusively used by teenagers and younger people who want to connect with their friends and family. While it's true that texting a popular means of communication among younger consumers, it is actually catching on with older generations as well. 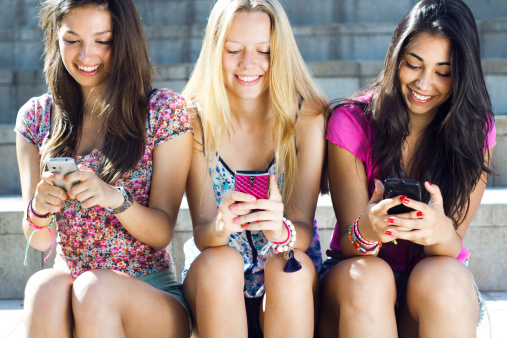 Here are a few signs that texting may actually be more popular than you originally thought. A recent study estimates that while younger Millennials are the most connected age group, mobile ownership has actually increased across the board in recent years. In 2014, 58 percent of American adults owned smartphones, and a staggering 90 percent owned a mobile phone. It's not just younger generations who are using mobile either. Pew Internet estimates that 88 percent of 50-64 year olds have mobiles, and 74 percent of those over 65 have cell phone access as well. These stats are good news for business owners interested in reaching more customers via mobile marketing. 2013 data obtained from Internet research firm Experian shows how prevalent text messaging has become in the United States. While those in the 18-24 age demographic sent and received the most texts per month by far, 2,022 and 1,831 respectively; data also shows that consumers over 35 years of age are also using text messages as a communication tool more often. Those in the 35-44 year age demographic sent and received 831 and 726 messages, while mobile users ages 45-54 sent 525 texts per month and received 473. This data suggests that older generations are becoming more comfortable with communicating via text. It's also worth noting that open rates for text messages average around 98 percent. This figure is almost unheard of in the marketing world. For comparison's sake, email open rates are approximately 22 percent. If you are looking for a way to ensure that your marketing message is heard, consider working with a mobile communications provider to get started with your first text message campaign. Most companies allow you to easily track open rates and review how your marketing effort is performing relative to your total mobile subscription list. Text messages open rates are quite high. A common misconception among business owners who are reluctant to get started with text message marketing is that texting is used exclusively by younger generations. This simply isn't true now. The proof is in the numbers. Smartphone use is increasing across the board, the number of texts sent and received is on the rise, and text messages have a 98 percent open rate on average. If you are interested in exploring how your business can benefit from text message marketing, try Club Texting for free today. Text marketing doesn't have to be complicated in order to be effective. Have you been hesitant to try text marketing for your business because you know very little about mobile? Not to worry. In most cases, you don't actually need to know much about mobile technology to get started with a text message marketing effort. You simply need to come up with the right language for your messages and a mobile communications company can help you with the rest. 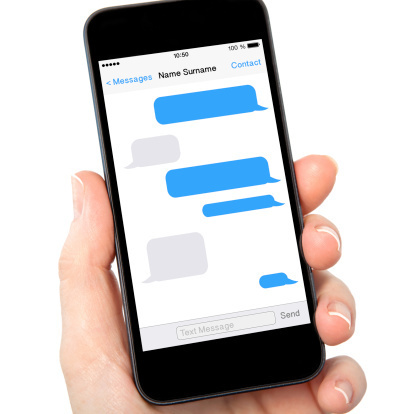 Here are three simple tips for creating a great text message campaign for your business. As with any other marketing effort, it's important to create your text marketing campaign with a specific goal in mind. 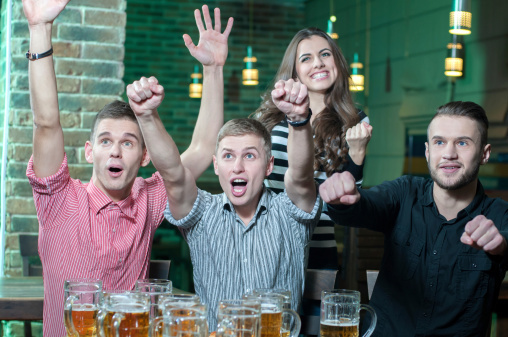 Are you hoping to attract more patrons to a special event at your restaurant? Do you want to increase sales on a certain product in your store? Think about how you want to structure your campaign relative to your primary goal, and then start developing your marketing messages from there. Identifying what you'd like to achieve ahead of time can help you avoid trying to accomplish too many things at once with your text marketing campaigns. As the old saying goes, "Too many cooks spoil the broth." Text message marketing is slightly different from other forms of marketing because you have very limited space to convey your message. The 160-character limit forces you to keep things short and to the point. Spend time creating a compelling call to action, and make that the focus of your message. Keep in mind that sending multiple texts to your mobile subscribers in a short time period isn't the best strategy because it can cause frustration, and dilute your marketing message. It's better to focus on creating a direct call to action in your first message and sending a follow up text to your audience at a later date. If you're worried about the technology behind text marketing, the key is to choose the right partner to create your campaign. Selecting a mobile provider that offers a simple to navigate platform can make campaign creation, distribution, and results tracking easier. It's also a good idea to work with a company that can provide you with the support and training you need to make the most of your first text marketing effort. Look for a mobile communications provider that offers the features and assistance you need to create a successful campaign. Partner with the right mobile company to create a compelling text marketing campaign. Creating a great text message marketing campaign is easier than you might think. Start by thinking about what you want to achieve with your campaign, and then focus on the language you want to use in your messages, making sure to keep things short. It also helps to choose the right partner in order to simplify the distribution and tracking process. If you are interested in getting started with your first text message marketing effort, try Club Texting for free today! The intuitive platform and helpful support team make it easy to create your campaign. Effective mass text message marketing can help you maximize event attendance. Mass text messaging should be in every event planner's toolkit. It doesn't matter if you are planning large conferences in the corporate world or a nightclub owner interesting in attracting more patrons to an upcoming special event. If event planning is part of your job description, reaching out to your audience via mobile can have many benefits for your business. Here are four reasons your event needs mass text messaging. Mass text messaging can be used to simplify the registration process for your upcoming event. Consider setting up a system where your mobile subscribers can preregister via their smartphones. This is beneficial for two reasons. First, it is more convenient for your audience, which means they may be more likely to register. It also simplifies things for your business because you can easily track who has signed up to participate in your event. Do you have an impressive array of speakers on the docket for an upcoming event? Or maybe you've invited a popular musician to perform for the evening? Mass text messaging can be used to build interest and get people talking in the days and weeks leading up to your event. If you know your mobile subscribers will be excited about a particular speaker or performer, why not spread the word? It could help you maximize attendance because potential attendees will be excited about the schedule or set list. How many times have you looked forward to something and then completely forgotten it was happening? Chances are you would have appreciated a reminder so you didn't feel disappointed after the fact. Mass text messaging is the perfect way to reminder your audience that your event is happening. Consider sending out a reminder message a day or two ahead of the scheduled date. This will help you keep your event fresh in the minds of your mobile subscribers, increasing the chances that they'll attend. You can also use mass text messaging after your event to collect valuable feedback from your audience. Consider creating a quick poll or survey afterwards to see what your guests thought about the event. The information you collect will come in handy if you plan events frequently, as you can use it to see what worked and what didn't work so well previously. Mobile surveys and polls are quick and easy, so chances are you will get more responses than if you chose to ask for your audience's feedback via traditional channels like email or the mail. Use mass text messaging to get your customers' attention before your next event. 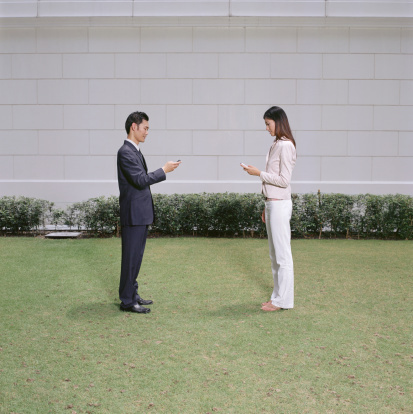 Mass text messaging is a useful tool for every event planner. Whether you are involved in planning corporate networking events or you are simply interested in attracting more patrons to comedy night at your club, mobile can be used to streamline the registration process, generate interest, remind your audience, and collect feedback about your event. If you are interested in exploring how mass text messaging can benefit your business, try Club Texting for free today! Adding humor to your marketing campaigns is a great way to get your audience's attention. Why did the chicken cross the road? To get to the other side! While this old joke has certainly seen better days, it probably served its purpose and grabbed your attention. Humor is an effective way to engage with an audience. As a result, many businesses have begun exploring how they can use humor an ice breaker for their marketing campaigns, as well as to boost customer engagement. If you are thinking about using humor to connect with your audience, here are four tips that can help you get your upcoming funny text marketing campaigns off on the right foot. The most important rule about using humor in your marketing efforts is to keep it clean. Steer clear of toilet humor or dirty jokes, as they can be damaging to your brand and may cause backlash from your mobile subscribers. Stick to amusing puns, plays on words, and simple jokes to add an element of fun to your text marketing campaigns. Keeping it clean will help ensure that your audience is amused, not offended. Due to the brief nature of text messages, you have a limited amount of space to get to your punchline. Stick with short jokes or phrases that can be conveyed in under 160-characters. This can help you avoid overwhelming your audience with multiple messages, an approach which simply isn't funny. It can also help you keep your costs down on your marketing efforts. Choosing your subject matter wisely is an important rule for using humor in your text marketing efforts. Consider avoiding potentially sensitive topics such as politics and religion, unless they are directly related to your business in some way. Sticking to topics that are near and dear to your brand can help boost your campaign's effectiveness. For an example, if you're a restaurant owner, try to get creative with some food humor. This approach is also a safe way to keep from unintentionally alienating your mobile subscribers. The last thing you want to do is offend a loyal customer, causing them to cut ties with your business. While you may enjoy sarcastic, dry humor in real-life conversations with friends, it's better to avoid this type of humor for your text message campaigns. Sarcasm doesn't always translate well onto the small screen of smartphones, and your mobile subscribers may end up being confused by your jokes. Instead, take a lighthearted approach to humor. Focus on using short jokes or puns that your customers will find amusing. Make the most of your text marketing by lightening things up. Incorporating humor into your text marketing efforts can help give your business a boost. But it can also backfire if you aren't careful about the type of humor you use and the subject matter. Make sure if you are using humor in your text campaigns to keep things clean, simple, and lighthearted. This will help you avoid any potential issues that could come up as a result of your approach. If you are interested in using text marketing to reach your customers, try Club Texting for free today! Always ask for your customers' permission before sending them texts. We have all heard the old saying, "It's easier to ask for forgiveness than permission." In many life situations, this simple adage may be true. But when it comes to text message marketing, it could not be more false. If you are considering using text message marketing to attract the attention of your target customers, here are three reasons why it is critical to ask for permission to contact them rather than ask for forgiveness for sending unwelcome messages after the fact. In recent years, the regulations around mobile marketing have changed. Government agencies like the Federal Communications Commission have created rules about mass text message campaigns. Businesses must receive permission from their target audience in order to send potential customers offers via text. According to the rules, commercial businesses must get a written okay from mobile users in order to communicate through SMS message. Companies need to abide by these regulations or message could be flagged as spam and they may be opening themselves up to legal threats. To avoid getting involved in any unfortunate legal messes, business owners that choose to use text messaging to reach their audience usually build a mobile subscriber list first. This can be done in a number of different ways. Many companies choose to ask for customers' mobile numbers during the checkout process. For example, if you own a retail store, you may ask them to sign up for a mailing or mobile messaging list as they're completing their purchase. Other businesses might decide to create print marketing materials encouraging potential customers to text 'yes' to a specific number in order to receive special offers. Once you have built your mobile subscriber list, it's a good idea to take a cautious approach to your first marketing campaign. Instead of simply sending offers to your list, consider having them opt-in again in order to ensure they are still interested in receiving communications from your business. This is beneficial for two reasons. Some customers may have forgotten that they subscribed to your list in the first place. It helps serve as a reminder for them, and helps protect your business. Many companies choose to lead off with a simple message that says something like, "Text YES to receive special offers from us." Being cautious is better than having to ask for forgiveness from mobile subscribers who aren't sure why they're receiving your messages. Having your customers opt-in can help protect your business from potential legal issues. 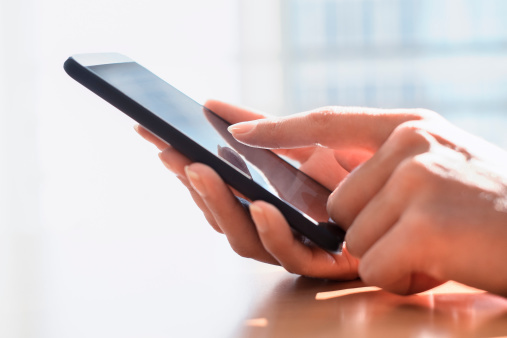 Asking your mobile subscribers for permission to send text message communications is important. Not only will it help protect your business from any potential legal issues, it will also help you ensure that the people you are communicating with are actually interested in what you are offering them. Creating a mobile subscriber list and having your customers opt-in a second time can help you weed out the people who are interested in engaging with your business from those who aren't. If you are interested in creating a text marketing campaign, try Club Texting for free today. Certain words can help you create magic with your next text message marketing effort. 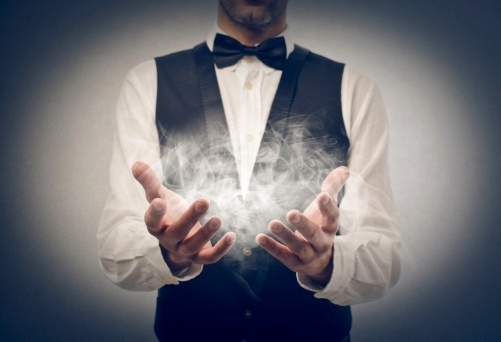 Want to add some magic to your next SMS text marketing campaign? There are some key words and phrases which can help you improve your response rates for your text marketing efforts. You can maximize your campaign's effectiveness by using phrases that convey urgency and exclusivity, making customers feel valued and important, and offering compelling incentives to your mobile audience. Here are six words and phrases that can help you add some magic to your next text message marketing campaign. Chances are you've been intrigued by a limited time offer as a consumer. Many people simply cannot help being attracted to these special deals. Developing an SMS text marketing campaign which offers limited time deal for your customers helps create a sense of urgency, which will effectively pique their interest and increase the likelihood that your mobile subscribers will redeem your offer. A good example of a well-crafted limited time offer is a message similar to the following: 'Receive 20 percent off your total purchase for the next 48-hours only. Offer expires Saturday at midnight.' If your audience knows that your special discount or offer is only available for a short window, they'll be more likely to take advantage of the deal. It goes without saying that every customer wants to feel valued. Think about your own experiences as a customer, and how you've interacted with your favorite businesses in the past. Chances are the most memorable interactions have been moments where your favorite retailers or restaurants have made you feel important. If you want to up the ante for your audience, consider creating an SMS text marketing campaign that uses exclusivity to attract their attention. VIP offers and exclusive deals for mobile subscribers can make your customers feel like they are getting something special which isn't available to the general public. This can help you improve your conversion rates. Who doesn't love getting something for free? Whether you are a retailer offering a free gift with purchase, or a restaurant owner offering a free appetizer or drink with a meal, using the word 'free' in your SMS text marketing campaign can help you attract a wealth of positive attention from your audience. This simple word is a powerful incentive for many customers. If you are interested in making the most of your next text marketing effort, consider offering your target audience a free gift that's available for a limited time only. They will feel compelled to take advantage of such a great deal! Customers love to feel as though you value their business. Every business owner wants to create magic with their marketing campaigns. A magical, compelling marketing campaign means more sales. Consider including the words 'limited time', 'VIP offer', or 'free gift' in your next SMS text marketing effort. These simple phrases are powerful and effective, and will help you improve your redemption rates on upcoming campaigns. If you are interested in exploring how text message marketing can benefit your business,try Club Texting for free today. Your mobile customers are waiting to hear from you. Develop relevant offers that are interesting and appealing to your audience. Have you ever fallen victim to an aggressive marketing campaign? Maybe you kept receiving calls on your landline from the same company even after you politely indicated you weren't interested; or perhaps a salesperson simply wouldn't leave you alone on a recent trip to the mall. While aggressive marketing tactics may be effective in some cases, businesses using this approach run the risk of frustrating customers. If you are thinking of using text message marketing to reach your audience, it's important that you don't force it. Here are three ways you can respect your customers' boundaries with your mobile marketing efforts. One of the easiest, most natural ways to get your mobile subscribers' attention is to share relevant offers. A relevant offer won't feel like an aggressive marketing tactic to your customers. It will feel like something special that's been created exclusively for them, a message that they are likely to appreciate and follow up on. If you are interested in building the relevancy of your campaigns, consider grouping your customers by interest or into a category segmented based on basic demographic data. This simple step can help you improve the relevancy of your offers. Congratulations! Your audience has opted in to receive text message communications from your business. Once you have their attention, it may be tempting to share multiple offers in rapid-fire succession to encourage them to take the next step. Unfortunately, sending a series of messages in a short time frame will likely have the opposite effect. Instead of encouraging potential customers to visit your business or make a purchase, this aggressive tactic can cause frustration and drive consumers away. Map out your campaign so that you distribute an initial message that's relevant and interesting, and then focus on timely follow-ups over the course of several days. Bombarding your audience with multiple text messages in a short timeframe can backfire. While it may seem counterintuitive, it's a good idea to offer your mobile subscribers the option of opting out of your text message communications. Providing this option to customers is important for a few reasons. First, it leaves your audience feeling as though they have more control over the conversation with your business. Mobile subscribers can sometimes feel inundated by marketing messages, and giving them the option to opt out can minimize any potential frustration that could come along with text message overload. Adding an opt-out feature to your campaigns will not have negative consequences for your business. If anything, your customers will appreciate your flexibility, and be grateful for the option. Aggressive mobile marketing can frustrate your target audience. Nobody likes falling victim to aggressive marketing tactics. Bombarding customers with advertising messages can backfire, so it's important to brainstorm ahead of your campaign. Think about how you can deliver the most relevant offers to your audience and how to appropriately time your messages. It's also a good idea to offer your mobile subscribers the option of opting out. If you are interested in using text message marketing for your business, try Club Texting for free today! A well-crafted text message can make potential customers hungry. There are few things more delectable than getting a good deal on good food. If you are a restaurant owner that's interested in exploring how you can use text message marketing to increase foot traffic to your business with mouth-watering offers, there are a number of approaches you can take. Here are some tips that can help you craft a delicious text message marketing campaign that will whet your mobile subscribers' appetites. The easiest way to get a potential patron's attention is to offer them something special. Are you trying to increase foot traffic during dinner hours? Consider offering diners a free drink or appetizer with the purchase of their dinner entrée. Or perhaps your restaurant just opened and you are trying to raise awareness about your business. If this is the case, you may want to share something more general like a promotion that gives customers 15 percent off the total bill. Sharing a good deal with your audience is likely to catch their attention and entice them to take the next step and book a reservation. Effective text messages strike a delicate balance between using descriptive language and keeping things relatively short. Messages should be appealing and interesting, but under the 160-character limit. If you are a restaurant owner, using descriptive language can get potential customers' mouths watering. For example, which of the following short passages is more delectable? "Get 10 percent off a burger" or "Hungry? Here's a ten percent off coupon for one of our delicious, juicy burgers." Adding a little bit of descriptive language goes a long way towards making a message more appealing for your customers. Your call to action is much like dessert. Dessert is the most important part of every meal, and CTAs are the most important part of every text message. Potential customers need to know where your business is, when your offer is valid, and how they can redeem it. The call to action for your messages should clearly explain all of these things. An example of an effective call to action is as follows: "Show this message to your server at our 123 Oak St. location to get 10 percent off your meal. Offer expires Saturday at 5PM EST." It provides customers with the restaurant address, the offer, how to redeem, and how long it's valid. An effective CTA eliminates all confusion, making it more likely that potential patrons will take advantage of your restaurant's special promotion. Using descriptive language in your campaign can encourage customers to stop in for a meal. Want to increase foot traffic at your restaurant? Reach out to your customers via mobile! Creating a mouth-watering text message marketing campaign is as simple as following these three steps. By creating an enticing offer that uses descriptive, direct language, you'll increase the likelihood that potential customers will take the next step of booking a reservation at your restaurant. If you are interested in getting started with your first text message marketing campaign, try Club Texting for free today!